If you are seeing pop-ups with messages and / or advertisements by Updatebrowse.net in your browser, probably your computer has been infected with an adware infection or a potentially unwanted program. It's independent of the browser and search engine your use, if you are seeing ads or fake messages from Updatebrowse.net it is most likely you are infected with a malware. Updatebrowse.net isn´t a malicious domain, however cybercriminals are using it to get revenue from pay per click. When you download and using the software can agree to consent to show all these ads, and give access to third parties to collect and use our personal information, our history On Line, email, including other private data. How can infected with the Updatebrowse.net pop-ups? The most common way you can with the Updatebrowse.net pop-ups is by downloading free software that had bundled into their installation this adware program. There are various websites like Softonic, Soft32.com or Brothersoft where promotes this kind of programs in their downloads. You must be attentive to the installation of this kind of software because if you don't review the steps during the installation process you can finish with a potentially unwanted software or PUP on the computer. Other methods may be when your are a user of P2P program and you share files, you can download a malicious or pirate software. Or with spam emails or emails with unknown sender with links to malicious websites or infected attachments. When you are affected with the adware or PUP, every time you open a new tab in your browser (Internet Explorer, Firefox and Google Chrome), will appear the Updatebrowse.net ads. Updatebrowse.net also displays advertising banners on web pages you are visiting, show coupons and other offers available on different websites you visit. Can display pop-ups designed to look like legitimate websites or messages where will show that some programs are outdated and need updating. If you download the update you can install adwares utilities. It wants earn money with generating web traffic, promote sales of fake products or fake services, and with display advertisements and links promoted by their authors. Can collect personal information, such as IP address. Can redirect to malicious websites where you can infect other dangerous viruses. Can steal private data and credentials of all types (for example bank data). 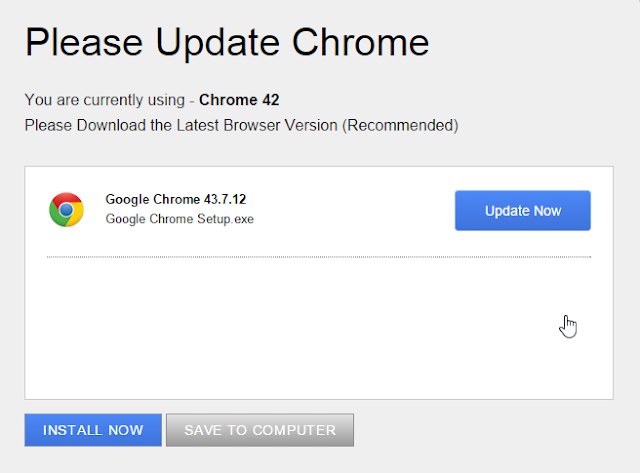 If you detect Updatebrowse.net pop-ups it's a sign that you are infected with a virus. It's recommended to perform a full system scan and remove threats detected. How can remove the pop-ups from Updatebrowse.net? Note: All software used to remove the pop-ups from Updatebrowse.net it's totaly free. These steps are tested and should remove this threat in major browsers. For successfully remove the adware Updatebrowse.net you must follow all the steps in the order shown. Go back Remove Updatebrowse.net pop-ups.